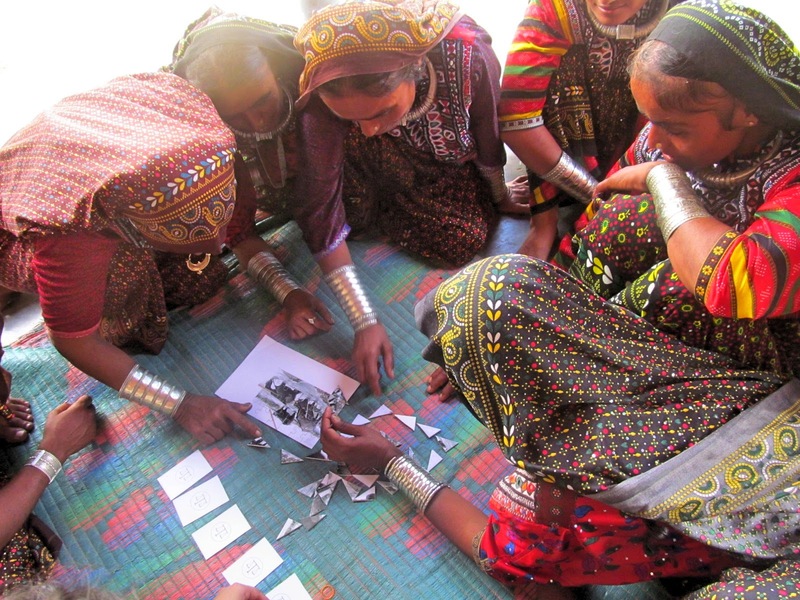 Natural Justice India has been working with pastoralists in Kutch, Gujarat and collaborating with a local organization, Sahjeevan. At present, the pastoral communities are facing a range of issues especially with access to resources. 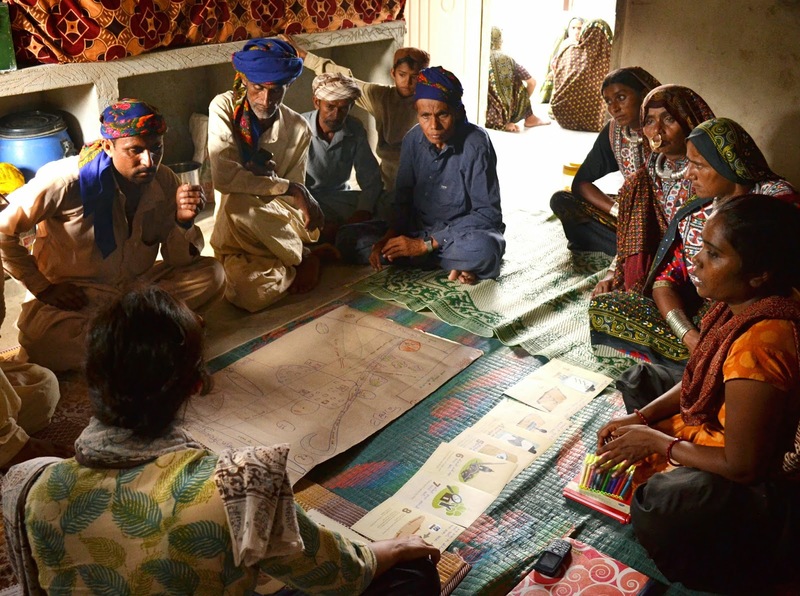 The different objectives and priorities for the stakeholders involved, in particular the Forest Department and increasingly the emerging industries in the Kutch region pose a threat to the communities and their traditional livelihoods. In the face of such issues, Natural Justice has been working to secure land rights and traditional grazing routes through the implementation of the Forest Rights Act, 2008. From the 11th to 22nd September, Revati Pandya, Sandeep Mudhar, Stella James and Alphonsa Jojan from the India team went on a field visit to meet with the communities and their newly formed Forest Rights Committees (FRC). These committees, under the Forest Rights Act (FRA) Rules, 2008 are to play a crucial role in claiming for rights over traditional resources, in particular the forested grazing lands. The aim of the visit was to build capacity of the FRC members and provide tools for them to better understand and effectively carry out their roles and responsibilities. The workshop consisted of three parts: a discussion on knowledge about the FRA to understand the current level of mobilisation; a mapping exercise to engage with the community and gain more information about community resources and identify any potential issues faced by members with regards to accessing these resources, and lastly; an overview of the claim-making process with the use of visual tools from the paralegal toolkit as well as the FRA “Claim” Game. The workshop was conducted in 8 villages and, overall, was well received. The visual tools were effective for some individuals in communicating complex legalities. Visuals from the FRA puzzle game were also a good, interactive means to relate resource use to the nature of evidence required for the claim making process of the FRA. The mapping exercise and discussion on the FRA highlighted some essential aspects to be included into the work. From the discussions and mapping exercise it became apparent that initiating the claim-making process requires further research into the community dynamics and their traditional systems of resource management. Most villages use communal forest areas, known as rakhals. This sharing of resources amongst different villages complicates the initiating the claim-making process as the question of filing for joint claims over rakhals or independent community rights for each village arises. Moreover, the impacts of the industries and the issues faced by the community as a result emerged in the discussions. This will be an interesting domain for Natural Justice as other legal options beyond the FRA can potentially be explored. Furthermore, it would be useful to discuss interests and capacities for identification of paralegals/community mobilizers when meeting with the community to create a direct information-sharing channel and strengthen the relationship with the community. Also, starting research on the legal aspect of industries will be highly relevant in Kutch and can be used to assist communities secure their rights over their lands. Let as many valuable texts as possible.